Product recommended for interior use. At the begining of Tabanda, there was FALON. As befits the first product of the collection it is youthful, perky and a little bit showy. 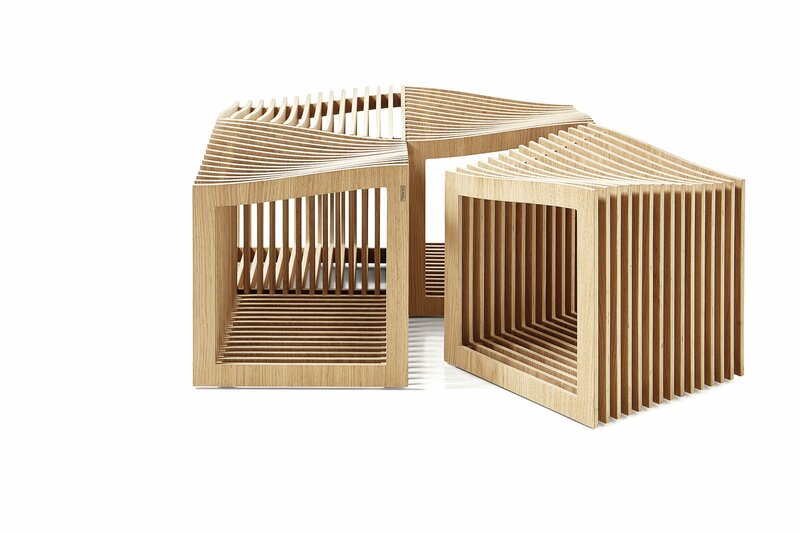 It may seem like a modern sculpture, but do not worry – instead of an art exhibit, it is simply a restful seating. What set it apart is ribbed construction and unusual form – even and regular at the base, then topped with the wavy surface of the seat. As pretty and useful the stool gets on its own, it definetly works best in groups. FALONS look stunning in any amount or configuration. They will easily adapt to all your needs. Use them to construct a long wavy bench or place them in several rows to get a large and comfortable surface that reminds a hilly countryside. During Łódź Design Festival 2011, FALON had got everyone so charmed that he won the Must Have prize for a well designed object on the Polish market.